A new burger is set to rival the Beyond and Impossible burgers. Lightlife, the company behind Gimme Lean meatless beef and Tofu Pups hot dogs, is launching new vegan burger patties. The product, which resembles beef burgers, is expected to hit U.S. and Canadian retailers in March and April during the company’s rebranding. With resources from parent company Maple Leaf Foods—a major Canadian meat supplier—Lightlife was able to develop the new burger in just six months, according to the Chicago Tribune. Maple Leaf Foods launched a 100 percent plant-based subsidiary called Greenleaf Foods late last year and also owns Field Roast Meat Co. Maple Leaf acquired U.S.-based vegan protein producer Lightlife in 2017. According to a company press release, Lightlife is the number one refrigerated alternative protein brand in U.S. retail, with beloved products like plant-based bratwurst, Italian sausage, and ground beef. The latest addition to the company’s impressive line of products, the new burgers are made with pea protein and free of GMOs, gluten, soy, and artificial flavors. They also contain beet powder and virgin coconut oil that give them a meaty texture and flavor. The Lightlife burger has 20 grams of protein and, because it’s plant-based, no cholesterol (beef burgers have a whopping 80 milligrams of cholesterol). It also has less saturated fat—2.5 grams in a quarter-pound patty, compared to 9.3 grams in a beef patty of the same size. With 40 years of leadership in plant-based food innovation, we understand taste is a priority for all consumers. We didn’t join the plant-based category overnight—we’ve long been pioneering the industry. Our new burger is delicious thanks to decades of culinary know-how, and we know we’ll be serving up an entirely better experience for consumers who want a break from traditional meat or whose palates are craving a new adventure. It’s not science—it’s just good food. We cannot wait to try it. Along with Beyond Meat and Impossible Foods, which both upgraded their burger formulas at the beginning of the year, Lightlife is sure to help make 2019 the year vegan burgers take over. A top menu item nearly everywhere it’s sold, the Impossible Burger outsells its meat-based competitors when sold alongside them. While Impossible Foods has offered its products only to foodservice providers and restaurants so far, it has announced plans to roll out the plant-based ground beef to grocery stores later this year. Another favorite, the Beyond Burger, has been so successful in fast-casual restaurant chain A&W that within a month there was a shortage of plant protein used to make it. And sales continue to soar. According to a recent CNBC article, Beyond Meat has sold more than 25 million Beyond Burgers worldwide. The company is also the first of its kind to go public and is valued at half a billion dollars. Fast-food chain Carl’s Jr. just added the Beyond Burger to its menu on January 2. More plant-based alternatives aren’t just good for vegans or people making the switch; they’re great for billions of animals suffering every day at factory farms. New to veg foods? 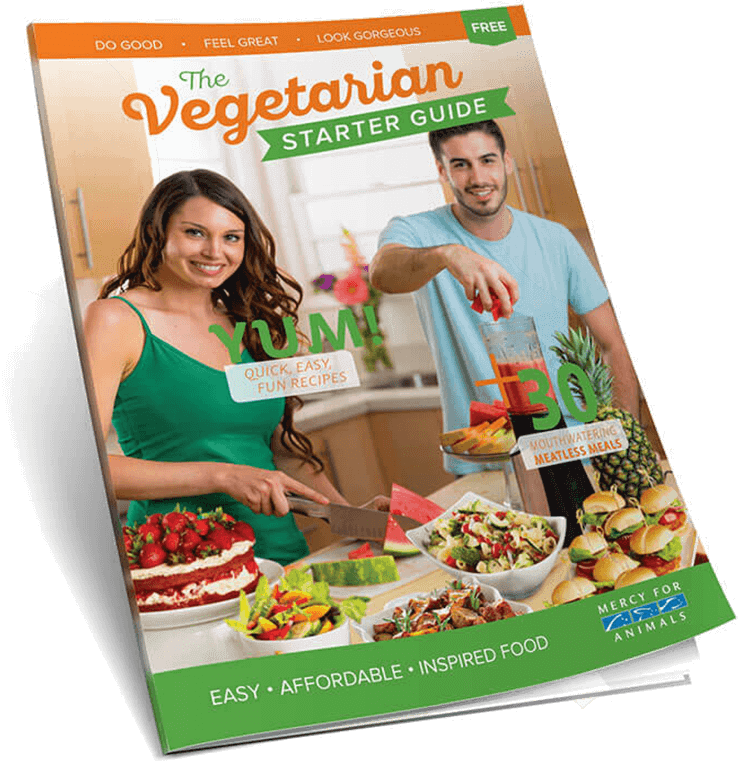 You can get delicious vegan recipes, meal suggestions, and advice on plant-based eating by ordering a FREE Vegetarian Starter Guide today.